Is your pup the best dog ever!? 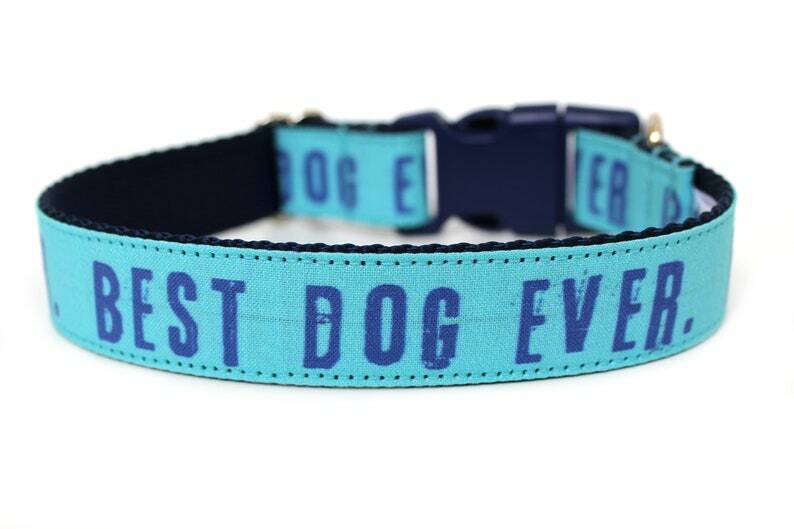 This fun dog collar is made with navy blue nylon webbing, a matching blue side release buckle, and a blue design with "Bes Dog Ever" in blue all over! Perfect for your best dog ever all year long!